« Meet The Most Corrupt Politician, possibly ever. 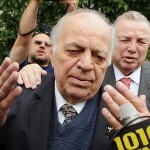 Controversial Ex-Pol Is Ready For Another Round…In Long Island! 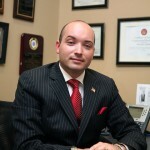 AMC is the former State Assembly Member for Queens AD 26 (Bayside). She’s an elder law attorney and she lives in Glen Head, Long Island. Rumor has it she’s mulling a run for Assembly…and get this: where she actually lives this time in posh Nassau. 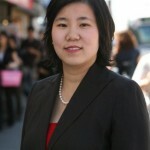 AMC did not run for reelection in 2010 amidst a residency scandal, and her exit opened up the books for now state Assembly Member Ed Braunstein who has a fake Twitter feed in his likeness of nearly 400 followers. Ed even kept AMC’s staff on board and took her old office. You know, in the name of reform. But I digress. What will AMC do now? Hmmm she was Deputy Whip, and never made a peep in Albany, so I presume she left on good terms with the powers that be. I wonder was this part of a larger, long-term, calculated plan of Democratic strategy? You decide.